Emily R. Shepardson will be having a solo exhibition entitled Small Domestic Miracles in the Fisher Gallery of prints and paintings starting January 20, 2018 and running through March 5, 2018. There will be a artist reception on Saturday afternoon, February 10, 2018 2-4PM. Emily is a printmaker and painter who describes her process has collage-like. For a print she will begin with a series of different plates and stencils layers and combined until the final image is achieved. She describes small domestic miracles as household magic like soaking white napkins in bleach to remove food stains, or perfectly gluing a broken cup back together again. It could also be catching sight of a tangle of birds circling over the house or having a crow follow me to work. In my art, it’s a glimpse of a swan in the creek, or the shadow touch of a hand on your back. The art galleries at the Rachel M. Schlesinger Concert Hall & Arts Center at Northern Virginia Community College’s Alexandria Campus will display works by Professor Emeritus Sherry Trachtman. 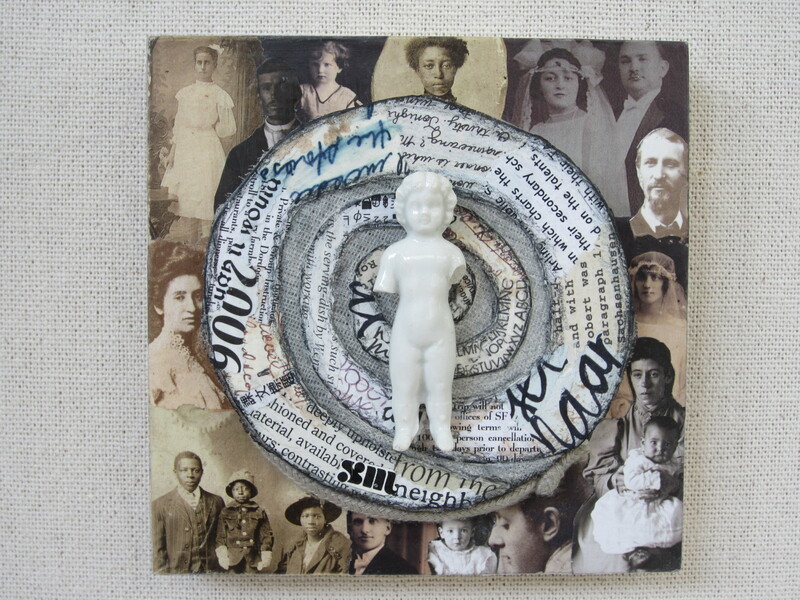 The Life Cycles exhibit will open in the second-level Passage Gallery Nov. 19. The show will be on display through Jan. 29 with an artist’s reception from 2 p.m. to 4 p.m. Saturday, Dec. 10.